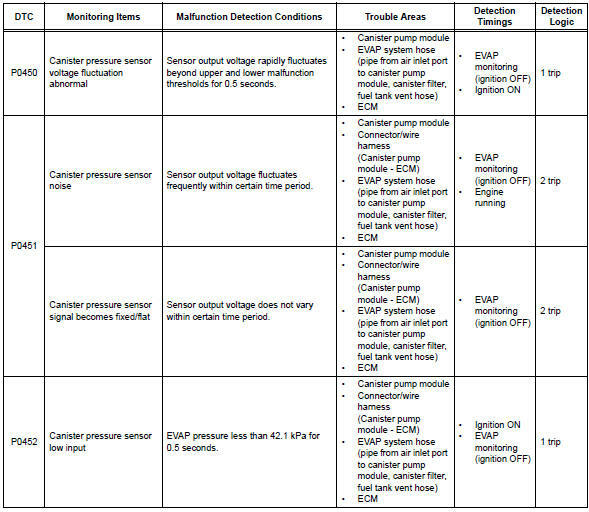 If the canister pressure sensor voltage output fluctuates rapidly for 10 seconds, the ecm stops the evap system monitor. 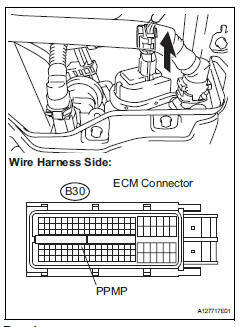 The ecm interprets this as noise from the canister pressure sensor, and stops the evap system monitor. The ecm then illuminates the mil and sets the dtc. 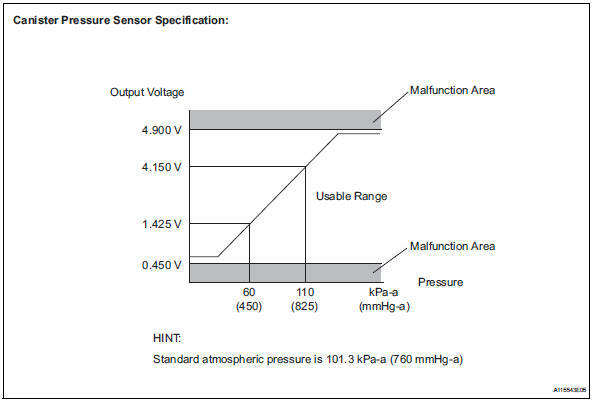 Alternatively, if the sensor voltage output does not change for 10 seconds, the ecm interprets this as the sensor being fixed/flat, and stops the monitor. The ecm then illuminates the mil and sets the dtc. Do not disassemble the canister pump module. The intelligent tester is required to conduct the following diagnostic troubleshooting procedure. 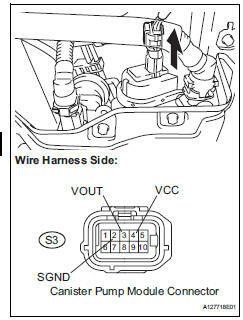 Select the following menu items: diagnosis / enhanced obd ii / data list / evap / evap vapor press. 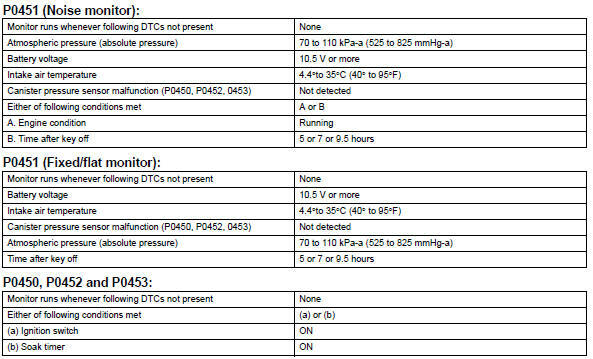 Read the evap (evaporative emission) pressure displayed on the tester. 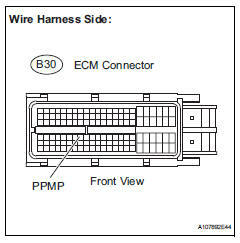 Measure the resistance between ppmp terminal of the ecm connector and the body ground. 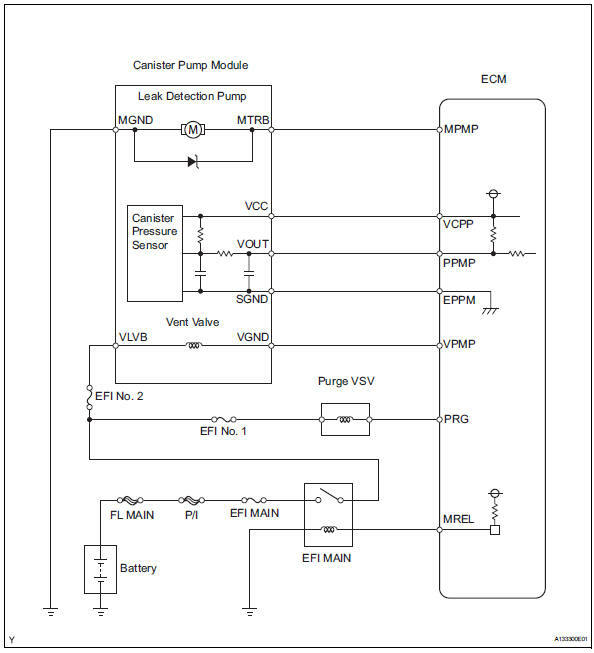 Measure the voltage and resistance of the canister connector. 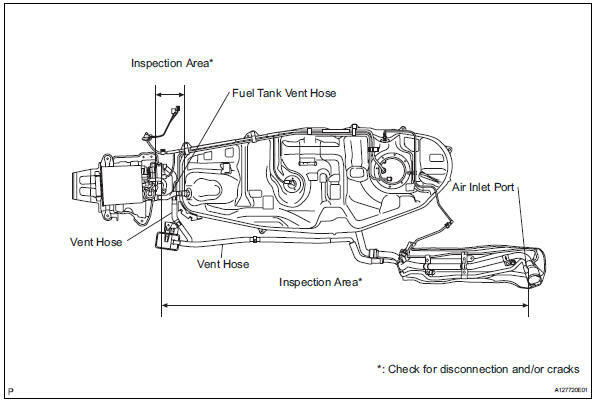 Replace the canister assembly (see page ec-10). If no pending dtcs are displayed on the tester, the repair has been successfully completed.